I’ve multiple sclerosis but do I look scared? 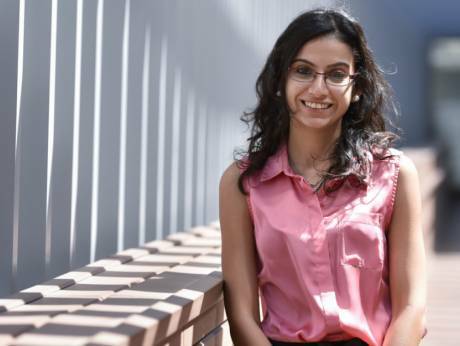 Dubai: Maha Abbas, 28, is a multiple sclerosis (MS) patient with a difference. She not only holds an active job but is also determined to help others like her to help themselves. Diagnosed with MS five years ago, the Dubai-based marketing executive counts herself lucky as her condition is mild. ‘’But the fact that MS varies so much from patient to patient is what makes it difficult for people to get the support they need and it is easy to feel lost and isolated,” she says, noting that lack of awareness of the debilitating auto-immune disorder is one of the biggest challenges in the fight against it. Out to correct that, she is launching an MS Talks Forum, supported by the German Neuroscience Center. “After being diagnosed, I received treatment, but I wasn’t given any real information about what it means to live with the condition, the different options available to me, or ways I could adapt my lifestyle for a better quality of life. This is something I wanted to address so we can open up a better dialogue and help people learn more about what their body needs in order to cope with MS the best way possible,” she said. It is not clear how many MS patients live in the UAE, but Dr Irene Klyk of the GNC said she sees three patients a week. Estimates reckon there are 2.5 million MS patients worldwide and women are twice as likely to be affected as men. According to research, Dubai should also be considered one of the regions with medium to high risk of MS, given its hot weather. Abbas said MS is an auto-immune disease that affects the central nervous system, attacking nerve cells in the brain and spinal cord. It can strike a person between 20 and 40 years. The first Maha Talks Forum will be held from 5 to 10pm at the Urban Bistro on October 31. “The aim is to get people to share their stories and find out more about the different types, symptoms and treatments of the disease. The forum will feature a seminar and neurologists from the German Neuroscience Center will also provide a doctor’s corner where patients can seek professional advice,” said Abbas.